Kieran McGourty is currently a lecturer below the bar in the Chemical Sciences department at the University of Limerick (UL). Kieran undertook his undergraduate studies at UL, in Industrial Biochemistry, where he worked with Dr. Jakki Cooney and Dr. Todd Kagawa. In 2006, motivated by these experiences, he went on to attain a Wellcome Trust funded PhD working with Prof. David Holden FRS, Imperial College London, studying the molecular basis of infection. During this time, Kieran published several high impact papers on the intracellular interaction of Salmonella Typhimurium with the host before changing field from cellular microbiology to cell biology. 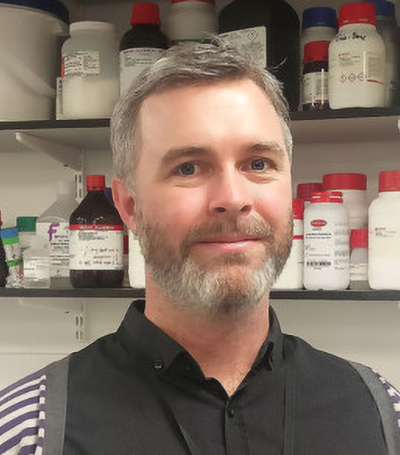 Kieran took a post-doctoral research position in 2012 with Dr. Emmanuel Boucrot at University College London (UCL), with a primary research focus on the cell cycle and extracellular matrix (ECM) biology. Kieran’s work here resulted in an extensive study into how ECM interaction evoke specific intracellular signalling profiles in quiescent cells. These findings are currently in preparation for publication. Kieran’s research aims to understand the signals that govern cell behaviour in the niche, especially the intestinal, muscular and epidermal niche. Kieran employs a number of high-throughput techniques to achieve this including; transcriptomics, phosphoproteomics, antibody signalling protein arrays and high content imaging, in addition to standard biochemical techniques.